Burger King, in a shift of strategy, is looking for an agency to handle its global advertising account. The £9 million UK business is currently handled by CHI & Partners. In the US, Mother New York most recently worked on the business. Burger King initiated and then aborted a review of its UK business at the beginning of the year. However the fast-food giant has now decided to move to a different structure with a global agency. Sarah Golding, the chief executive of CHI & Partners, said: "We wish BK well as they make more global marketing arrangements." CHI picked up the UK and Ireland account in August 2011 after Burger King’s split with its previous agency of record for five years, Crispin Porter & Bogusky. 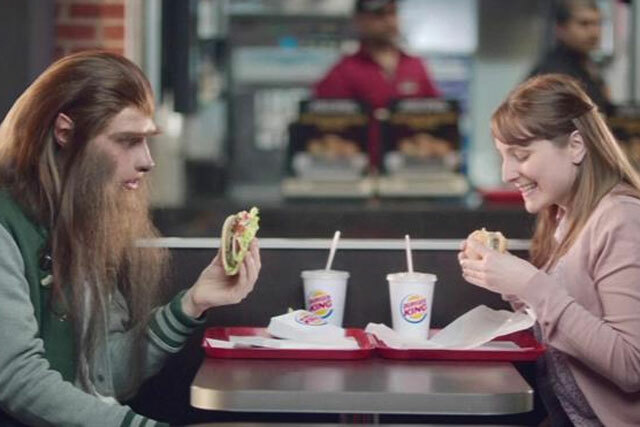 Its debut TV ad for the brand, "wolfman", broke in April 2012 and featured a woman watching with interest as her boyfriend developed lupine features while eating a Burger King product. It replaced CP&B’s critically panned "the king" work, which saw a character dressed as a king playing a pipe and leading people through the streets of London.